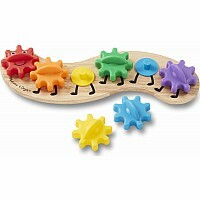 Turn the gears slowly and watch each interlocking segment move the next, or see how fast your child can make the caterpillar "crawl" on the wooden base. 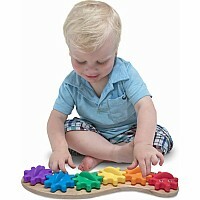 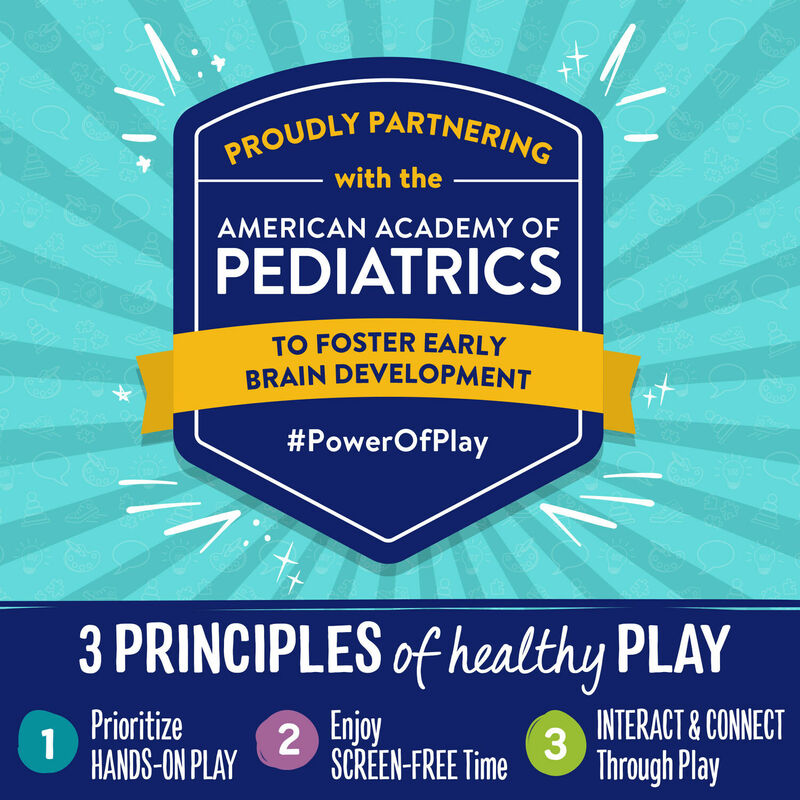 This rainbow-colored gear toy is hands-on fun at any speed! 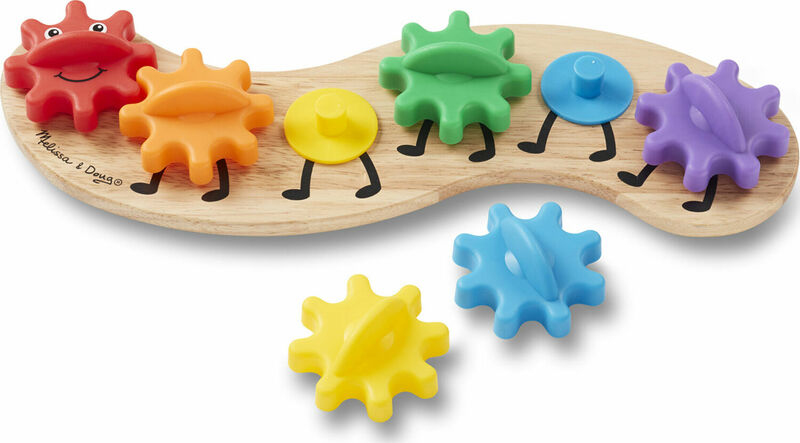 With their bulky, notched shape, the colorful gears are easy for children to fit onto the color-coordinated pegs... then rotate, remove and rearrange. 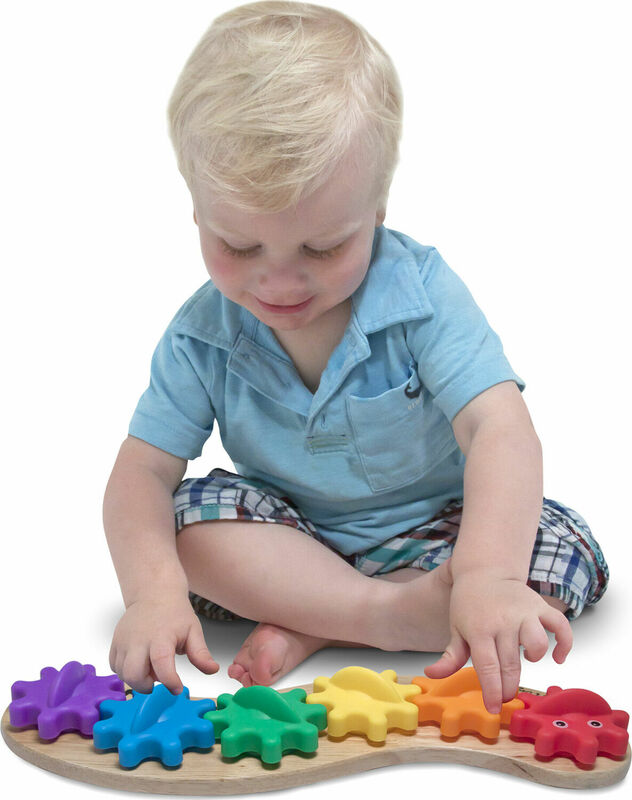 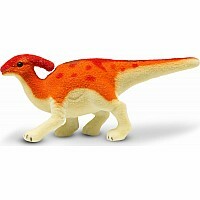 Toddlers will be fascinated by the colors and movement of this charming toy. 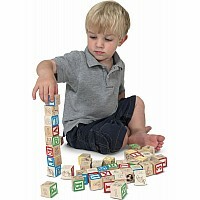 Measures approximately: 14.20 x 5.90 x 1.75 inches..